Pindari Glacier is situated between two prominent peaks Nanda devi and Nanda kot is the source of Pindar valley. It occupies a length of about 3 km and width of about 400 meters and extends from a height of 3,650 mtrs to 4,260 mtrs. It is the most easily accessible glacier in Kumaon region. Pindari’s rugged beauty offers a breathtaking sight, especially for the trekker who is in love with nature in all its pristine glory. 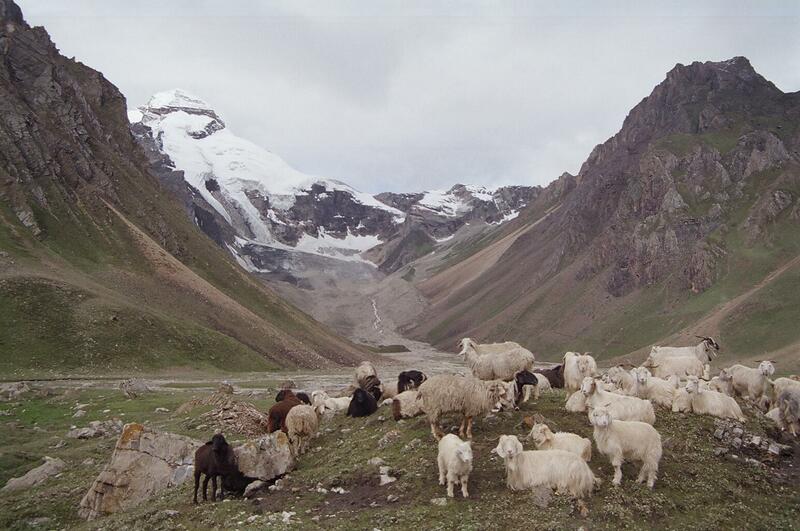 The trekking tour to Pindari Glacier is an unsurpassable and an exhilarating experience. Early in the morning drive to Almora via Kathgodam. Arrival at Almora by evening. Dinner and overnight stay at the hotel. Mornings after breakfast drive to Loharkhet and from here we will start our trek up to Dhakuri. It is an 11 km trek today that takes you down into the depths of the valley and then a fair climb to Dhakuri. Dinner and overnight stay in tents/rest house. This is an 8 km trek; Khati is the largest village on this route and is on the banks of the Pinder Ganga.The people here are extremely hospitable and legend has it that they are the descendents of the race who provided shelter to the Pandavas during their exile. Dinner and overnight stay in Tents/Village huts. The trekking distance today is 11 km (5-6 hrs) with the roar of the Pinder Ganga not too far off. Along the way there are many a waterfalls and log bridges to be crossed. Dinner and overnight stay in tents/rest house. Today is an early start as it is a 7 km trek each way. Touch zero point from where the Pindari glacier can be viewed in all its magnificence. The Pinder valley is also prominent with its patches of lush greenery over the stark white landscape. Return to Phurkia. Dinner and overnight stay in tents. Its time to go back and the 5 km trek will take about 3 hrs. Dinner and overnight stay in tents/rest house. Today’s 11 km trek will take 4-5 hrs. Exploring Khati is a good idea as it has some beautiful sights to offer. Dinner and overnight stay in tents/rest house. In the morning after breakfast trek down to Dhakuri. The trek is 8 kms and it will take 3-4 hrs. Dinner and overnight stay in tents/rest house. Trek all the way to song today 13 km, 5-6 hrs and drive back to Bageshwar. Overnight at Resthouse. The trek has come to an end. Dinner and overnight stay at the hotel. In the morning drive to Delhi via Kathgodam. Arrival at Delhi by evening. On arrival check in to hotel for overnight stay. After half day sightseeing at Delhi transfer to airport to catch your onwards flight.